There is a lot of confusion out there among families and individuals in regards to the difference between Medicare and Medicaid. It can be difficult at times for the average person to distinguish Medicare from Medicaid. Although the names of these two government programs are similar, there are significant differences between Medicare and Medicaid that you need to be aware of. MediCare is a government program that provides health insurance for all individuals over the age of 65. Medicare is separated into the following parts: Part A covers hospitalization (hospital insurance); Part B covers doctor services and outpatient care (health insurance); Part C is the Medicare Advantage Plan (like an HMO or a PPO); and Part D covers prescription drugs. Medicare is well known by many because it is a primary source of health insurance for retirees over the age of 65. Therefore, there is no need to delve too deeply into Medicare. If you are interested in more information on Medicare, please visit http://www.medicare.gov/Publications/Pubs/pdf/10050.pdf. On the other hand, MedicAID is a government assistance program that provides “aid” to individuals with limited resources who are in need of long-term care at a skilled nursing facility. Currently, the average cost of a nursing home facility in Michigan is $77,483 per year.¹ If an individual applies for Medicaid and is approved, a large majority of those costs will be paid by Medicaid. A common misconception about MediCare is that it will pay for long-term care. This is not entirely true. Medicare is a “get-well” program. As long as a patient’s condition is improving, Medicare will pay up to 100 days in a skilled nursing facility. However, if a patient’s condition is not improving or is worsening, Medicare could stop those payments within a few weeks. So, what happens after that? MedicAID will only cover the costs of a nursing home facility if you can prove that you qualify for Medicaid. In order to qualify for Medicaid, there are certain asset tests and income tests which, without proper planning, require you to become impoverished before Medicaid will pay for anything. I will post more information on the rules for Medicaid qualifications and what proper planning means in the near future. But, for now, you should be able to distinguish at least one major difference between Medicare and Medicaid. If you have a medical catastrophe that requires skilled nursing care, your Medicare coverage is limited. It is essential to know and understand that, without proper planning, a medical catastrophe could cost you as much as $7,000 a month. 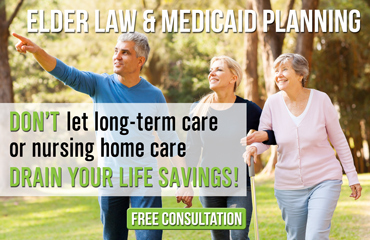 Michigan Medicaid Attorneys at The Elder Law Firm PC& Associates provide assistance in protecting your assets and protecting your family through Medicaid planning. 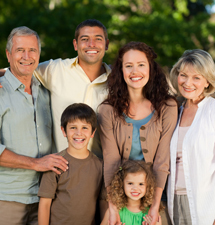 Located in Grand Rapids, our Michigan Elder Law Attorneys provide services throughout the lower peninsula of Michigan. Contact us by calling 877-960-5233 or filling out our free online Medicaid planning form here.